Courtesy Photo The 2018-19 Alpena Community College women’s basketball team from left to right is: back: Dakota Prevo, Taylor Livingston, Gina Dewald, Shelby Seaver and Abby Larsen; front: Brooke Nguyen, Jasmyn Schultz, Emma Jore and Kyra Feighner. 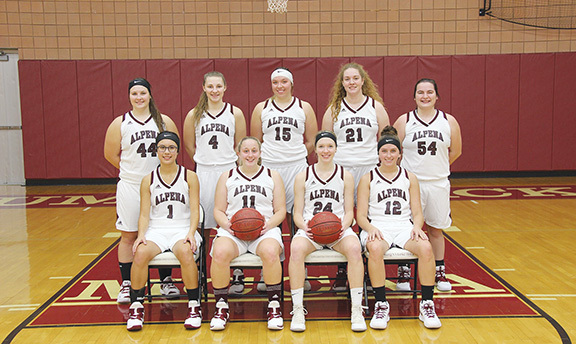 Alpena Community College women’s basketball coach Bobby Allen has a simple analogy to describe his goal for the Lumberjacks this season: when the Lumberjacks sit down at the table, Allen wants his team to take a plate and eat. Translated to the basketball terms it means when ACC takes the floor, Allen wants the Lumberjacks to play with confidence, be aggressive and be assertive. The Lumberjacks certainly have the tools to pull it off. 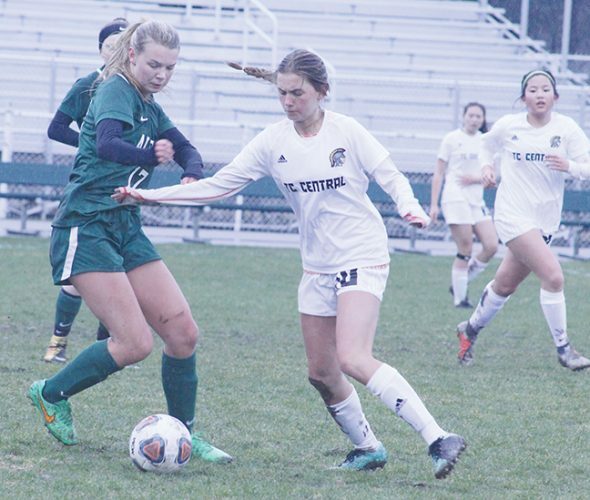 With better numbers and arguably one of its more talented rosters of the last several years, the Lumberjacks are hoping to vastly improve on last season’s 2-19 campaign. The Lumberjacks have a talented mix of shooters, rebounders, athletes and hustlers. 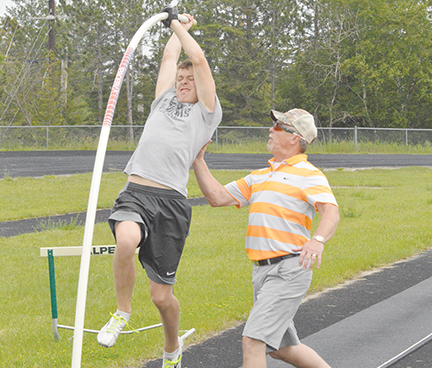 If the Lumberjacks can mix those talents with a good dose of confidence, hopefully good results will follow. ACC is off to an 0-4 start to begin the season, but has shown signs of potential. Allen said his players have been pushing each other hard in practice and he’s hoping the lumps his team is taking now will pay off when the Lumberjacks begin conference play in January. This season’s roster features just one returner, but it’s filled with names that local basketball fans are familiar with. 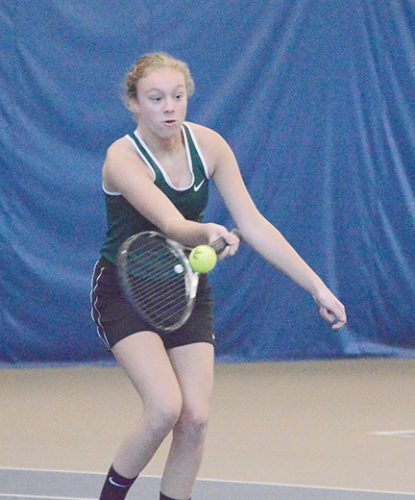 In the backcourt, freshman Emma Jore (Alpena) will guide ACC’s offense and will be joined by fellow freshman Brooke Nguyen (Alanson) and Kyra Feighner (Greenfield). 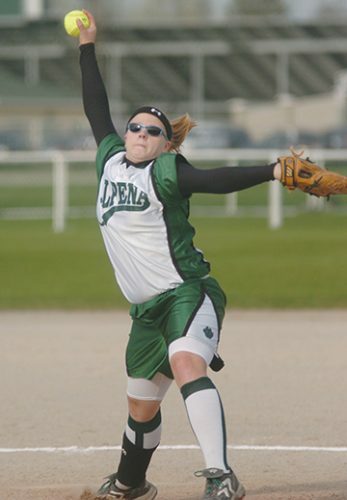 Up front, Alpena returns Jasmyn Schultz (Alpena) and welcomes freshmen Taylor Livingston (Alcona), Gina Dewald (Au Gres), Shelby Seaver (Alpena), Dakota Prevo (Alpena) and Abby Larsen (St. Ignace). With Seaver (5-foot-11), Dewald (5-foot-10), Livingston (5-foot-9) and Prevo (5-foot-7) patrolling the paint, the Lumberjacks have plenty of size up front and ACC has already shown signs of being strong in the front court. Through three games, Seaver is averaging 12 points and 11 rebounds, Dewald is averaging 9.3 points and 10 rebounds and Livingston is averaging 10 points and six rebounds. All three players were offensive leaders on their respective high school teams and should help make the Lumberjacks formidable team as they continue to develop chemistry. Along with eight new additions to the roster, the Lumberjacks also have a new face on the sidelines in Cindy DeRocher, who has joined the program as an assistant coach. DeRocher, who played at ACC in the early ’80s, brings balance to ACC’s bench after a Hall of Fame career coaching the women’s basketball program at Trine University.